Most often when scholars have begun to suspect that “Shakespeare” was influenced in his writing of Hamlet, Prince of Denmark by the ancient narrative poem Beowulf, they have made a sharp turn away from that idea. 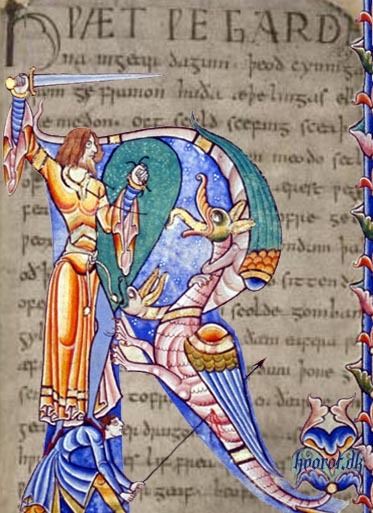 Beowulf, as generations of students can attest, is the earliest surviving Old English poem, dated between the eighth and eleventh centuries, by an unknown author. 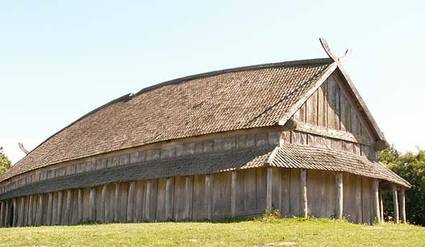 Set in Scandinavia and told in 3182 alliterative lines, it’s one of the most important works of Anglo-Saxon literature, as well as one of the earliest European epics written not in Latin but in the vernacular or native language. And the traditional author of the Shakespeare works, the man from Stratford upon Avon, could not have read it. 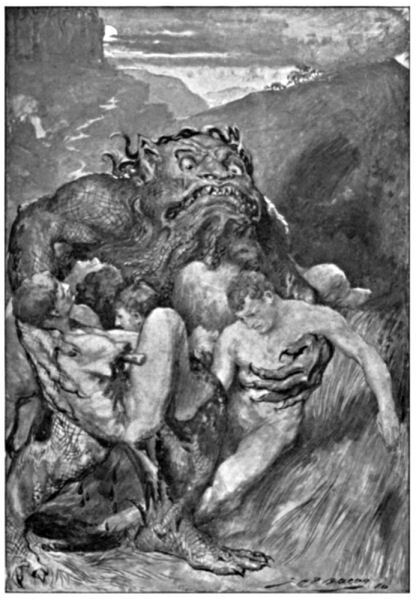 Beowulf, a hero of the Geats, comes to the aid of Hroogar, King of the Danes, whose mead-hall (great royal feasting hall, where warriors could sleep at night) has been under attack by the monster Grendel. 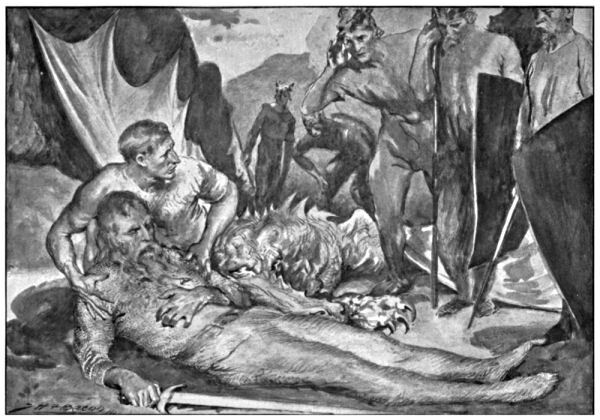 Beowulf slays Grendel; when Grendel’s mother attacks, he kills her, too; and then he returns home to Geatland in Sweden, where he becomes King of the Geats. This tower and remember my name. 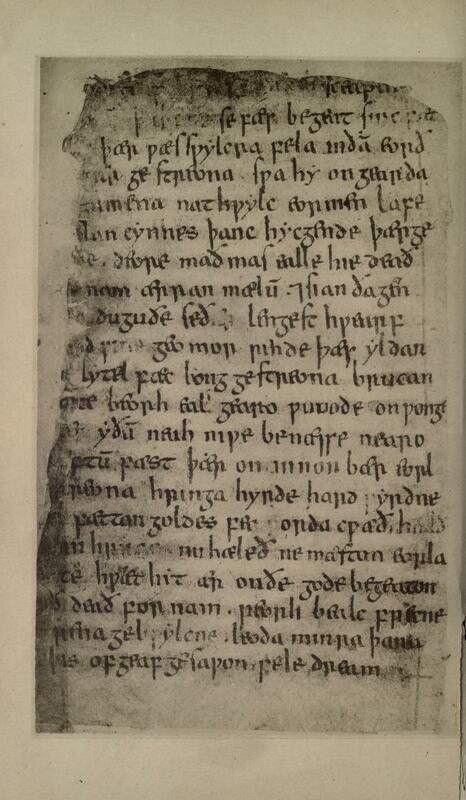 One – and only one – Beowulf manuscript exists. It’s a fragile document, possibly the anonymous author’s working copy, the result of two scribes taking down the words as he spoke them. Although the poem is set in Scandinavia, it was written in England; and the earliest known owner of the manuscript was the scholar Laurence Nowell, who received it after entering the London house of his patron, William Cecil, chief minister to Queen Elizabeth, in 1562 or 1563. An expert collector of Anglo-Saxon documents, Nowell later compiled the first Anglo-Saxon Dictionary. After coming into possession of a volume of handwritten manuscripts containing the Beowulf text, he signed his name in pencil on the back of it along with the year, 1563. The manuscript volume is bound in what is still known as the “Nowell Codex” and is kept today at the British Library. The immediate point here is that only a few highly placed individuals in the world ever got to read Beowulf until well after the sixteenth and seventeenth centuries. We can be certain that William Shaksper of Stratford could not have seen the ancient poem. So the scholars who have noticed the influence of Beowulf in Hamlet have had to either find some explanation for the similarities or ignore them. 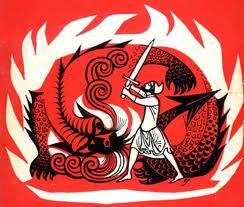 It turns out, however, that the influence of Beowulf in Shakespeare’s Hamlet does exist. 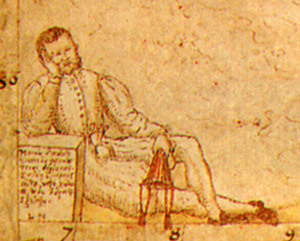 Laurence Nowell – antiquarian, cartographer, Anglo-Saxon scholar – had been summoned by Cecil to act as a special tutor to young Edward de Vere, seventeenth Earl of Oxford, who arrived at Cecil House at age twelve in September of 1562, as a royal ward of the Queen in the chief minister’s custody. It was in 1563 that, through Cecil (as well as Matthew Parker, Archbishop of Canterbury), he acquired the manuscript; and young Oxford, to whom so much evidence points as the true author of the Shakespeare works, was literally in the same room with Nowell when the Anglo-Saxon scholar was brimming with excitement over having this precious text in his hands. “You’re the last of all our far-flung family. … the rest is silence. Thank you! So useful! If only blind eyes would see, deaf ears hear! They surely will, not a long time, I promise. Whittemore, talking on Beowulf, could Oxford had take some parts of Hamlet’s plot from Aeschylus’s “Oresteia”? Orestes’ story remembers me of Hamlet’s familiar drama and also Oxford’s.